Next to “Who has the best beer in Pittsburgh?” that’s the question I am most often asked. I love to eat BBQ but I’m far from considering myself a pit master so I’d say “Backyard BBQ & Beer Guy” would probably fit me best. 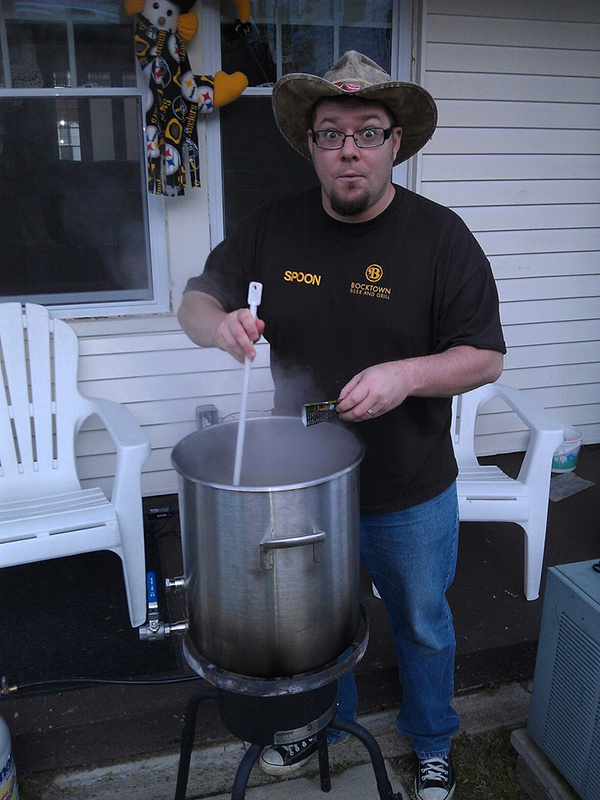 You might find me multitasking on Saturday smoking meats and homebrewing. 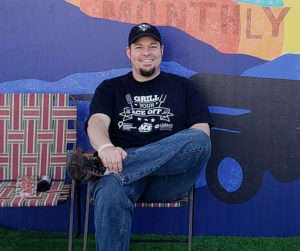 I’m a craft beer advocate and have hosted “Should I Drink That?“, one of the longest running craft beer podcasts in the history of the internet, for the last 12 years. My passion has been promoting craft beer and specifically the Pittsburgh scene since 2006 when we only had 5-8 breweries. Now we’re closing in on 40. These days I’m dreaming of BBQ, smoke, and grilling. I have a small yard in the South Hills so I get the most I can out of my smokers without filling my neighborhood with smoke or setting the house on fire. I only use lump charcoal, briquettes or wood. No gas though I’m not opposed to it. On weekends I also compete in Steak Cookoff Association events. Why is the beer guy doing BBQ? Along with craft beer, the barbecue scene in Pittsburgh has caught fire (ooohhh starting with the bad jokes already) and many people have asked me where they should go. Most foodies I spoke with knew of the same 5 places when I started this site and as of June 2016, I grew the list to 35. My plan for this project is simple, showcase the Greater Pittsburgh barbecue scene and raise awareness for businesses providing local meats and products. This will be user driven and there’s no cost for listing your business in the directory, all I ask is that a substantial portion of your menu is barbecue related. I’m not talking about an Eat n Park “OMG IT’S MAY! BBQ EVERYTHING!” but a BBQ focused business (food trucks are not only welcome but celebrated). Reviews will be paired with local beer when possible. Seriously, the best of both worlds in Pittsburgh! HUZZAH! What would you like to see? Who should I check out? Do you want to meet up over beers & brisket and talk BBQ? Fill out the contact form below and I’ll be in touch. If you would like to send product samples of sauce, rubs, meat, tools, shirts (2XL), stickers, books, anything that doesn’t require a back brace to lift, send it to the following address. Big items contact me using the form above. This is a great time to be in Pittsburgh and you’re going to have an amazing adventure discovering what we have to offer you! Follow us on Facebook, Twitter, Instagram, Pinterest, and YouTube.